Who's coming and who's going from Days of our Lives? Check out the latest casting news from the NBC soap. Sienna Goines begins a stint as Jade's Aunt Simone on May 27, when Jade and Joey visit her commune outside LA. Goines has a soap opera past. She played Callie Rogers on The Young and the Restless (1999-2000) and Valerie Davis on Passions (2007). Daniel Cosgrove, who made a surprise return a "Aiden" on Friday, May 6, is back on the soap. The character had been killed off in November 2015. Rick Hammond plays Dr. Hale on May 11. Eric Satterberg portrays Steve, a lab technician on May 12. Josh Burrow premieres as Clark on May 2. The character has a connection to Summer and shares scenes with Marie Wilson. Anne-Marie Johnson begins a recurring stint as Dr. Robinson, Abigail's therapist, on April 26. It's not the actress first time on the soap. Back in 2012 she played Dr. Patel for two episodes. Victoria Scott appears on April 25 and 27 as Victoria Hannath, a student at Salem High. She'll play a pivotal role in the school prom. Connor Weil plays Mark McNair, another Salem High teen, on April 25 and 27. Todd Waring portrays the above mentioned Mark's father, Judge McNair, on April 28. 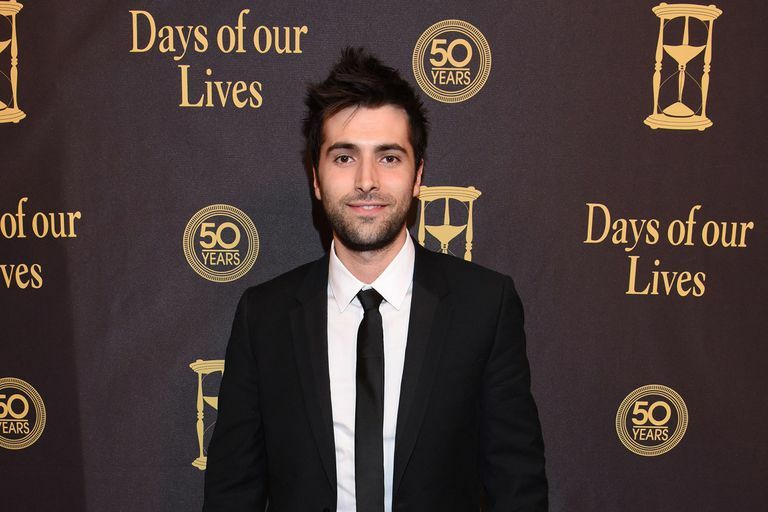 Days has finally confirmed that Freddie Smith, who was photographed on set weeks ago, is returning as Sonny. Smith, who last appeared on the show on October 22, 2015, will resurface in Salem in July. Greg Vaughan wraps up his stint as Eric Brady on April 15, when his character is sent off to prison. Vaughan joined the soap back in 2012. Christos Vasilopoulos plays a young Victor on April 15, when current Victor (John Aniston) has flashbacks about Helena's death. Meanwhile, Arianne Zucker does double duty this week -- with the help of a brown wig -- as Helena Tasso. Martha Madison (Belle) and Brandon Beemer (Shawn), who are being written off into the sunset -- again, are currently wrapping up their Days run. "2 days of filming this week and then we go on our way,” posted Beemer on Twitter. Madison returned to the soap on November 25, 2015. Beemer followed on January 19, 2016. Martha Hackett portrays ISA director Pamela VanDamm on April 6. She'll play a key role in Steve being cleared of all charges regarding Ava's death. Jackie Debatin plays Tina Bradley on April 7 in bar scenes with Stephen Nichols (Steve). A blast from the past? According to Soap Opera Digest, the show has put out a casting call for Dr. Valerie Grant, a gorgeous African-American woman in her mid-50s, who's character traits include courage and perseverance. Longtime fans will recall that Valerie, originally played by Tina Andrews, was romantically paired with Julie's son, David Banning, in 1976. It was daytime's first interracial romance. The role is scheduled to begin taping in mid-to-late May. Robert Scott Wilson returns as Ben on March 29 in scenes with Kate Mansi (Abigail). The actor is back for a limited run. Rafe, Gabi and Dario's mama finally materializes, this week. Alma Delfina begins airing as Adriana Hernandez on March 22. Tobin Bell wraps up his stint as Yo Ling, John's father on March 22. After a long absence, Kevin Riggin is back as JJ's pal Rory. The character was last seen in August 2015. Grinnell Morris plays the pastor who marries Chad and Abigail on March 15. Tobin Bell makes his debut as John Black's father, Yo Ling, on March 11. The actor is best known for his portrayal of John Kramer/Jigsaw in the Saw film series. You can read more about him, here. Also, look for Mark Laursen to take on the role of Stefano's former henchman and John's nemesis, Petrov. Kai Wulff originally portrayed the character from 1983 to 1986 and again, briefly, in 1991. Robert Scott Wilson is headed back to the soap as Ben, Abigail's ex-fiance. He makes his first appearance in early March. Tamara Braun has wrapped up her three month stint as Ava. She returned to the soap in December 2015. Paige Searcy begins a recurring role as Jade, a new friend of Joey's, on February 24. Adam Leadbeater is back as Dr. Seth Malcolm on February 26. Jordi Vilasuso debuts as Dario Hernandez, Rafe and Gabi's brother, on February 19. The character was originally played by Francisco San Marten, who left the soap in 2011. Mark Adair-Rios plays Alvarado on February 18. Shawn Christian returns as Daniel on February 12. He'll have scenes with Arianne Zucker (Nicole) in a special Valentine's Day fantasy. Daniel Cosgrove, who was "killed off" as Aiden Jennings in November 2015, is back on set taping. He will be onscreen in late spring. Kassie DePaiva makes her last appearance as Eve on February 2. After traveling to New York with Claire, her character will simply decide not to return to Salem. Marie Wilson debuts as Summer on February 5. The daytime vet last appeared on the soap in February 2015 as Bree, a friend of Aiden's late wife, Meredith. With the new role comes a new look for Wilson. The former brunette is now a blonde. Molly Burnett, Nadia Bjorlin and Christian Ganiere finish their stints with the show on January 28, after Melanie, Chloe and Parker attend Daniel's funeral. Bjorlin, however, will be returning to the soap full time in late spring. Max La Manna plays Brian on January 24. Vincent Irizarry debuts as Victor's youngest brother, Deimos, on January 18. He'll share scenes with John Aniston. Brandon Beemer returns as Shawn Douglas Brady on January 19. Beemer last appeared on the soap in 2008. Joseph Kamal appears as Vadim on January 21 in scenes with Drake Hogestyn (John) and Eve Brenner (Maude). Molly Burnett is back for a recurring stint as Melanie. Her first appearance is January 13, when the character resurfaces in Salem to help plan Daniel’s funeral. Eve Brenner is playing Maude, a woman who professes to be John's mother. Zak Henri debuts as Henry on January 5. His character is the latest addition to the show's new teen cast. Alexandra Chun is playing Dr. Oakes, the Salem University Hospital medico tending to the ailing Thomas. Nadia Bjorlin returns as Chloe on Friday, January 8. Christian Ganiere has taken over the role of Parker, Daniel and Chloe's son. The character was last portrayed by Evan and Luke Kruntchev. Rafe and Gabi's much talked about, but never seen mother has been cast and already begun taping. Can't reveal who's playing the part yet, since the show wants to keep it under wraps. The Mexican actress, however, is a well-known name in the Latino community. There will be some new faces at the Basic Black fashion show. Andrew Ableson is playing Pierre on December 29 and 30, while Shelene Atanacio portrays a fashion designer on December 30 and 31. Michael Emery turns up as an EMT on December 31. The new year will bring a pair of old favorites back to Salem. Nadia Bjorlin and Molly Burnett are both returning for brief stints in January, with Bjorlin returning to the soap full time in the spring. Alla Korot, remembered to Another World fans as Jenna and All My Children fans as Allison, tweeted that she has joined the Days cast. She plays Janet Bernard and begins taping on January 4. Adam Leadbeater wraps up his stint as Dr. Malcolm on December 14. Ana Alexander is back as Miriam on December 17. Tamara Braun returns as Ava, an unstable woman from Steve's past, on December 9. During Braun's initial run on the soap in 2008, she won a Daytime Emmy Award for Outstanding Supporting Actress in a Drama Series. John-Paul Lavoisier (ex-Rex, One Life to Live) debuts as Philip on December 10 in scenes with John Aniston (Victor) and Eric Martsolf (Brady). The character, last played by Jay Kenneth Johnson, was last seen in Salem in 2011. Ana Alexander plays Miriam in scenes with A Martinez (Eduardo) on December 9. After an oh-so-brief stint as Shawn, Jason Cook exits the soap on December 2. Brandon Beemer, who replaced Cook after he originally left Days in 2006, will be taking over the role. Anya Monzikova is back as Claudia on December 2 in scenes with Kristian Alfonso (Hope). She last appeared on September 25. Adam Leadbeater resurfaces as Dr. Malcolm, the evil medico who played a key part in Bo's captivity, on December 3. The role is recurring. Martha Madison returns as Belle on November 25. She last appeared on the soap in 2008. Olivia Rose Keegan make her daytime debut as Claire, Belle and Shawn's daughter, on November 25. Denice Duff plays Wendy Taylor on November 19, a woman Ben finds to help Abigail, when she goes into premature labor. The actress is no stranger to daytime. From 2001 to 2002 she played Amanda Browning, Mac's mother, on The Young and the Restless. Bye-bye Aiden. Daniel Cosgrove departs as Hope's killer hubby on November 9. Byron Marc Newsome portrays Officer Bennett on November 9, while Leah Allers turns up as a paramedic and Carlos Acuna appears as a cop. Chris Pierce plays Mr. Moorehead on November 11. He'll share scene with Drake Hogestyn (John). Alexander Bruszt debuts as Fynn, an old pal of Daniel's, on November 12. Kyler Pettis debuts as Theo on November 3, replacing Terrell Ransom Jr., who portrayed the character since 2008. The actor took to Twitter to announce the news: "Hey DOOL fans! Who's ready to see the new aged up Theo Carver hit Salem this Tuesday?? #Days50"
Robert Craighead plays the deputy in scenes with Peter Reckell (Bo) and Stephen Nichols (Steve). T.J. Hoban turns up as Tod, a stripper at Hope's bridal shower on October 27. Vivian Jovani premieres as the now teenage Ciara on October 30, replacing Lauren Boles. Boles had played the character since 2008. Jason Cook is back as Bo and Hope's son, Shawn. The actor, who played the role from 1999 to 2006, resurfaces on October 23. Larry Poindexter reprises his role as Father Louis on October 19. Look for the priest to preside over Will's funeral. It's the end of the road for James Read. Look for Clyde to leave town on October 20. Jonathon McClendon makes his debut as Aiden's newly aged son, Chase, on October 21. The role was last played by Connor Kalopsis. Jocelyn Osorio is appearing is Lucia, a woman tending to the ailing Bo. Freddie Smith wraps up his short return as Sonny on October 22. Two stars return in the aftermath of Will's death. Alison Sweeney begins a recurring stint as Sami on October 12. Freddie Smith resurfaces as Sonny the same day. Hayes Mercure plays a paramedic on October 13. Bee-Be Smith makes a guest appearance as Louise Rancil. Guy Wilson is about to make his final appearance as Will, after his character becomes the Necktie Killer's latest victim. Kristin Carey portrays Clyde's lawyer, Joanne Donner, on October 8. Patrick Hume turns up as a bum in scenes with Billy Flynn (Chad) on September 30. Ruben Garfias portrays Dr. Salinas, the medico Victor has hired to find a cure for Caroline. Paolo Andino plays Father Valerio, the priest that presides over Paige's funeral service on October 2. Two daytime vets hit Salem, this week. A Martinez, who won a 1990 Daytime Emmy for his role as good guy Cruz Castillo on Santa Barbara, begins portraying the shady Eduardo on September 21. The character is Eve's ex, the late Paige's dad, and Rafe and Gabi's father, too. His first scenes are with Kassie DePaiva (Eve). Thaao Penghlis returns as Andre DiMera on September 25. The actor last appeared on the soap back in 2009. Anya Monzikova portrays Claudia in scenes with Stephen Nichols (Steve) on September 25. All My Children alum Sal Stowers (ex-Cassandra Foster) debuts as cop Lani Price on September 25. Camila Banus returns full-time as Gabi on September 17. Joe Basile plays a thug in scenes with Daniel Cosgrove (Daniel) on September 17. Set you DVRs. At long last, Peter Reckell turns up as Bo Brady on September 8. Carlos Acuna plays a cop on September 10. Jerry Penacoli is back as Miles Malloy on September 1. The Extra correspondent shared the news on Facebook. "Back to do more #DaysofOurLives Miles Malloy still alive and well! #DOOL#NBC." Good news for Greg Vaughan (Eric) fans. The actor has renewed his pact with the soap. "Great day today! Official contract extension @DaysofourLives & new movie @hallmarkchannel Truly Blessed!" Vaughan tweeted. Stephen Nichols returns to the soap as Steve "Patch" Johnson on August 28. His first scenes are with Mary Beth Evans (Kayla). Paul Telfer finishes his run as Victor's wayward nephew Xander on August 25. Telfer first appeared on the soap as Victor's henchman Damon in January, before returning with a new cropped haircut as a new character in March. Edd Hall plays a TV announcer on August 27. If his voice sounds familiar, it's because Hall is best known as Jay Leno's announcer on The Tonight Show with Jay Leno. After a four year run as Sonny, Freddie Smith exits the show on August 18. Look for the actor to share poignant final scenes with Guy Wilson (Will) and Christopher Sean (Paul). Susan Seaforth Hayes (Julie) is back again, this week. She pops into Salem on August 17 and 19 for scenes with Kristian Alfonso (Hope). A casting call went out for a Caucasian woman in her early 40s to play Summer, a loner who has been in and out of institutions and is a small-time thief. The role is short-term. Clay Blanchette plays an EMT, who tends to Caroline, on August 10. That was fast! Nadia Bjorlin wraps up her two-day stint as Chloe on August 4. After stirring up some trouble for Daniel and Nicole, look for the character to slip out of Salem, again. Frank Ashmore begins a short stint as Wallace on August 7 in scenes with Christopher Sean's Paul. Nadia Bjorlin's return is fast approaching. Look for the actress to make appearances as Chloe on August 3 or 4 for powerful scenes with Shawn Christian (Daniel) and Arianne Zucker (Nicole). Kasey Mahaffy begins a recurring stint as Martin, the lab tech handling Abigail's unborn child's paternity test. Jane Carr is playing Emma. Shawn and Belle's daughter is all grown up. Olivia Rose Keegan has landed the role of a teenage Claire. The character was described as "an offbeat and slightly quirky girl who is trying to find her way through music and art" in the original casting notice Here's a link to the talented Keegan showing off her singing talent..
Larry Poindexter is back after a long absence as Father Louis on July 24. He'll share scenes with Greg Vaughan (Eric). Billy Gallo is playing Agent Watts, the main who recruited JJ to go undercover to find out who's behind the influx of drugs in Salem. There will be some considerable Doug and Julie sightings in the next few months. Look for it to begin when Bill Hayes and Susan Seaforth Hayes make their next appearance on July 22. Tamara Brawn is rejoining the cast as Ava, both Steve and John's wacky ex. You can read the details, here. Miranda Mayo (Zoe) has prominent scenes with Billy Flynn (Chad), Kate Mansi (Abigail) and Robert Scott Wilson (Ben) on July 8 and 9. Scott Vance plays Donald, this week, while Nolan Freeman appears as a drunk guy, who gets into an altercation with Casey Moss' JJ. Bye-bye Aiden? Rumor has it that Daniel Cosgrove has taped his last scenes as Hope's beau -- just in time for Peter Reckell's return as Bo. You can read more, here. All My Children alum Sal Stowers (ex-Cassandra) is joining the cast as Lani. You can read the full story, here. Spencer Neville is back as Derrick, the bellhop from the hotel where Paul's been staying, on June 29. He'll interact with Christopher Sean (Paul). Tate has a nanny. Nadia Sloane begins a recurring stint as Hayley. Michael Cardelle begins a recurring stint as Bev's friend Kyle Southern. The actor appeared as Rafael Ortega on As the World Turns back in 2005. Also, look for Daver Morrison to portray Officer Johnston. There's another Joseph Mascolo sighting on June 25. This time around look for Stefano to have a meeting with Kate (Lauren Koslow). Two Kiriakis goons turn up on screen, when Victor has a heated confrontation with Xander. They're portrayed by Ben MacCabee and Dimitri Lekkos. Joseph Buttler begins a recurring stint as Will and Sonny's marriage counselor, Dr. Myers, and June 17. Fans of iCarly may remember him as Mr. Stern, a role he recurred in from 2007 to 2010. Alison Paige is back as Bev on June 19. She'll have scenes with Casey Moss (JJ). Nicole Cummins plays Lisa on June 19. Look for Victoria Hande as a Paige lookalike on June 19. Joseph Mascolo's Stefano makes another return to Salem on June 11. He'll share scenes with TV son Billy Flynn (Chad). Peggy McCay (Caroline) and Josh Taylor (Roman) make appearances on June 9. Mieko Hillman turns up as Nicole's friend Sally on June 8. Miranda Mayo is back as editor Zoe Browning. Rayna Tharani pops up again as Navidad, Xander's cohort in crime, on June 2. As for last week's blind item about three, big returns, the first is Jason Cook. He'll be resurrecting his role as Bo and Hope's son, Shawn. Check out the details, here. Get ready to say goodbye to Molly Burnett. Her six-month stint with the show is quickly coming to a close. Her last air date is June 2. In the wake of Burnett's exit from Salem, get ready for the announcement of a few more stars from yesterday returning to the soap. While it's too soon to announce who the characters are, here's a hint: the returnees are members of the Brady, Kiriakis and Black families. Patsy Pease begins a five-episode return as Kimberly on May 22. She'll share powerful scenes with John Aniston (Victor), Jen Lilley (Theresa) and Eric Martsolf (Brady). Paul Telfer has already taped his last episodes as Xander. "Ta! @KaraKovich1 @JanetD1986 @Aries_caligurl8 I left weeks before Xander even aired, but because of the prod sched he'll be on thru August," tweeted the actor, adding that there is "still plenty of Xander mayhem to come ; )"
Days is casting the role of Claire, a beautiful 15-year-old blonde, preferably with blue eyes, who can sing. She is described as an offbeat and quirky girl who is trying to find her way through music and art. (Sounds a lot like Chloe.) The role is recurring and scheduled to begin airing in June. Timothy Goodwin is back as Daniel's super Lou on May 20. Alisha Boe pops up as Tru's friend Daphne on May 20. Greg Jackson returns as Jeremiah on May 13. Also, this week, Betsy Baker plays a waitress in Poplar Bluff, while Ben Dukes portrays one of the town's locals. Look for Shon Lange as one of the goons Stefano orders to off Marlena. Look for Bill Hayes and Susan Seaforth Hayes to pop in as Doug and Julie, this week. Wally Kurth's Justin resurfaces in Salem -- for good -- on May 5. As reported, Mary Beth Evans has inked a new pact as Kayla. Look for her storyline to intensify, when Stephen Nichols returns as Steve and James Lastovic begins airing as her newly aged TV son, Joey. On the heels of Wally Kurth (Justin) signing a new contract with Days comes the news that his TV wife, Judi Evans (Adrienne), has inked a new pact with the show, too. Evans was last on contract in 2007, when she played Bonnie. Camila Banus is heading back to the soap as Gabi. Look for her character to get out of the slammer and return to Salem this Fall. Rafael Petardi is portraying Giuseppe. The soap is casting two new teenagers. Danielle is a beautiful 16 to 17-year-old brunette, who is loving and warm, but has experienced pain and can appear selfish and cruel at times. Mason is the same age and being described as a quiet, stunning young man, who has also suffered tremendous loss. Wally Kurth makes another appearance as Justin on April 24 in a phone call scene with Judi Evans (Adrienne). Jim Poyner portrays Lee, this week. Longtime soap fans will remember the actor as Dennis Carrington on NBC's long defunct daytime drama Texas. Paola Grande plays a nurse on April 23 in scenes with Molly Burnett (Melanie). At long last Eileen Davidson is back for a short run as Kristen. Look for her to mix it up with an array of prominent Salem players during her stint on the soap. This week, she'll share scenes with Lucas Kerr (Clint) on April 15. Sal Landi's Mandrake turns up again on April 16. Yoshio Moriwaki returns as Paul's grandfather Hiro Narita. A behind-the-scenes source confirms that Melissa Archer is exiting the show as Serena. Archer joined the soap last December. Also, Molly Burnett has wrapped her six-month stint as Melanie. Expect the character to depart Salem in May. Patsy Pease took to Facebook to share some details about her Salem return. Expect to see Kimberly in Salem in May for five episodes. Jorge Diaz returns as Jorge, a lab technician at hospital. Miranda Mayo is back as Will's editor Zoe Browning. Add Patsy Pease to the list of stars returning during the show's 50th anniversary year. She'll pop up for a few episodes as Kimberly, Caroline's daughter and Theresa's mother, this spring. Joshua Dov portrays Davis Favi, a reporter, on April 2 and April 3. He'll have scenes with Guy Wilson (Will). Paul Telfer, last seen as Victor's henchman Damon in January, returns as a new character. He's now playing Xander. A month after he returned to the soap, it's time to say goodbye to Wally Kurth. Look for Justin to leave Salem and head back to Dubai, again. Freddie Smith's Sonny, who left town to spend time with his brother after finding out Will cheated on him, is back on the canvas on March 18. His first scenes are with Christopher Sean (Paul). Landall Goolsby portrays Professor Smythe on March 16. Also this week, Bart Braverman plays Mr. Gordon, Gina Holden appears as Paloma. Salem's teenage population is about to increase. The soap has put out a casting call for two 16-year-old males. One is a rebel named Joey, which, incidentally is the name of Steve and Kayla's rarely seen son. One and the same? Most likely, yes. The other is young man named Elijah. The news was initially reported by Soap Opera Digest. Sal Landi's Dr. Mandrake is back on March 12, and he's got a first name: Ignatious. Rayna Tharani portrays Navidad, the woman who has been calling and threatening Serena on March 5. Jason Looney plays Jason on March 4. Andriana Manfredi debuts as Roxanne Trenton on February 24. The character is an old friend of JJ's, who he summons to Salem to play the part of his current girlfriend. She'll work with Casey Moss (JJ). Hira Ambrosino arrives in town as Paul's mom, Tori Narita, on February 24. She'll share scenes with her TV son, Christopher Sean. After nearly a year away from the Days fold, Wally Kurth is finally resurfacing. Look for Justin to return to Salem on Tuesday, February 17. He'll share scenes with Judi Evans (Adrienne), Freddie Smith (Sonny) and Bryan Dattilo (Lucas) throughout the week. Julie Tolivar begins a stint as Aiden's deceased wife, Meredith. She makes her first appearance in a video message discovered by Hope on February 10. Marie Wilson is back as Bree, this week, in scenes with Kristian Alfonso (Hope). Good new for Justin, Adrienne and Sonny fans. After a long break -- he last appeared on the soap the week of March 31, 2014 -- Wally Kurth is heading back to Days. Look for the character to return to Salem later this month. Kurth, meanwhile, continues to appear on General Hospital as Ned Ashton. Anton Narinskiy is playing Terry one of the servers at club TBD. Paul's mother has arrived on the scene. Hira Ambrosino is playing Tori Narita. The actress has appeared in skits on Jimmy Kimmel Live! multiple times dating back to 2009. Her most recent stint was as Federal Trade Commission worker Janet Yamashiro in 2014. Miranda Mayo is back as Will's magazine editor, Zoe Browning. After a long absence, Riley Bodenstab is back as JJ's nemesis Cole on January 22. He'll share scenes with Casey Moss (JJ) and True O'Brien (Paige). Bodenstab last appeared on the show in June 2014. Paul Telfer has joined the cast as Damon, a new henchman in the Kiriakis fold. Carter Haseley plays a student on January 21. Lucas Kerr begins a recurring role as Clint on January 16 in scenes with Jen Lilley. He plays a new guy in town who catches Theresa's eye. Kerr's previous daytime work was on The Bold and the Beautiful, where he played a male model in 2008 and 2009. Adam Mayfield, last seen as Scott Chandler on All My Children in 2010, is also joining the Days cast in a recurring role. He'll portray Ted, a man from Serena's past, and begins airing this week. Spencer Neville has been playing Derrick, the bell hop at Paul's hotel. He'll share scenes with Christopher Sean (Paul) and Freddie Smith (Sonny) on January 9. Greg Jackson is back as Clyde's cohort in crime, Jeremiah, on January 7. Sal Landi returns as Mandrake on January 7. Sal Landi is back as DiMera minion Mandrake on January 5. His character is resurfacing in Salem to keep an eye on Theresa. Paul Clausen plays Bob on January 5. The actor has previously had day player roles on General Hospital, Passions and All My Children. Bill and Susan Seaforth Hayes return as Doug and Julie on December 23, 24 and 25. They'll share scenes with Kristian Alfonso (Hope), Daniel Cosgrove (Aiden), Suzanne Rogers (Maggie) and many others. Patsy Pease, who resurfaced as Kimberly, last week, is back again on December 23. She'll interact with True O'Brien, when Kimberly levels with Paige about Shane's condition. Steve and Kayla's long missing son, Joey, makes an appearance over the holidays. Jadon Wells, who last appeared in the role and on the show on Christmas Day 2013, is back on December 25 and 26. Bruce Nozick returns as Dr. Green on December 24. He's the medico tending to Shane. Meanwhile, viewers haven't seen the last of Gabi. She'll turn up again, following her December 22 appearance on the soap. All My Children alum Adam Mayfield (ex-Scott) is heading to the show in January in a recurring role. He'll play a character from Serena's (actress Melissa Archer) past. Mayfield makes his first appearance in January. Camila Banus is returning as Gabi on December 22. Miranda Mayo appears as Will's editor Zoe, again, on December 16. John Burk portrays Hal Price on December 16. He'll share scenes with Miranda Mayo and Guy Wilson (Will). Guy Wilson, who's been off the canvas since October 30, returns as Will on December 11. He'll have reunion scenes with Freddie Smith (Sonny). Miranda Mayo is back as Will's editor Zoe Browning on December 11. She'll share scenes with Christopher Sean (Paul) and Guy Wilson (Will). Marie Wilson's Bree pops up again on December 12 and 15, when her character makes a telephone call to Hope. Spencer Neville begins airing in the recurring role of Derrick on December 9. He'll be involved in the Sonny and Will storyline. Neville appeared on Parenthood earlier this year portraying a character named Four D Max. December is always the month for happy returns to Days and this year is no exception. Look for Susan Seaforth Hayes (Julie) to pop up this holiday season, and not just to add to the ambience when it comes time to decorate the Horton Christmas tree. "Bill has some really good scenes with Kristian (Alfonso, Hope)," says his proud wife. Perhaps he'll counsel his daughter on her new romance with Aiden. Also making an appearance will be Patsy Pease (Kimberly), who's back in town to visit her daughter Theresa and the rest of the Brady family. Raffaela Perra plays Simone on December 5 in scenes with Molly Burnett (Melanie). The character is connected to all that money Melanie's been toting around, since resurfacing in Salem. Melissa Archer's (ex-Natalie, One Life to Live) debut as Serena Mason is fast approaching. The actress will make her first Days appearance on December 5. You can find out more about her character, here. Jean-Christophe Febbrari begins a recurring stint as a "Mystery Man" on December 1. After two years away from the Salem fold, Molly Burnett returns as Melanie on November 21. She'll share her first scenes with Suzanne Rogers (Maggie). Seth Banee Carr plays Randy on November 18. Greg Jackson returns as Jeremiah on November 18. Connor Kalopsis is back as Chase on November 19. Bo Youngblood portrays a waitress on November 19. Edward Deraney turns up as a landlord on November 11. Michael Sun Lee plays Satoru on November 12 in scenes with Shawn Christian (Daniel). Alisha Boe begins a recurring stint as Paige's new pal Daphne on November 12. She'll interact with True O'Brien (Paige). Ivana Shein portrays a nurse in scenes with Chrishell Stause (Jordan) on November 17. Another week, another huge departure. Eileen Davidson wraps up her three-month stint as Kristen on Thursday, November 6. The actress has returned to The Young and the Restless as Ashley and will also appear on the new season of . Christopher Sean makes his debut as Paul, a baseball player, on November 7. He'll share scenes with Shawn Christian (Daniel), when his character seeks medical help for a sports injury. Sean appeared as a waiter on The Bold and the Beautiful in 2010. This is his first contract daytime role. Sal Landi is back as Mandrake, this week. Tom Choi has been playing Eve's doctor. "Catch @Daysofourlives tomorrow and Monday to catch me as Dr. Chung. I wanted to be Dr. Remora but Joey Tribbiani on #friends beat me to it," tweeted the actor. Kimberly Stanphill portrays a lady in the park on November 7. Alison Sweeney makes her last appearance as Sami on October 30. Leaving the show with her are the three sets of twins who portray her onscreen children -- Aaron and Griffin Kunitz (Johnny), Campbell and Carolyn Rose (Allie), and Berlyn and Brooklyn Baca (Sydney). Also departing is Guy Wilson (Will). However, it's just a temporary exit for the actor. He's slated to return to the soap in December. Daytime vet Marie Wilson (ex-Karen, Port Charles; ex-Meg, As the World Turns) is joining the cast as Bree. The character knows Hope and is connected to Aidens's dark past. Chrishell Stause has announced her departure as Jordan. She'll air until March. Sara Fletcher returns as Jill, the girl who drugged and set up JJ, on October 23. D. C. Douglas portrays Mr. Bob Salke on October 21 and 22. Jonathan Strait begins a recurring stint as Bruce Greemblatt on October 21. He'll also appear on October 22, 23 and 27. After a lengthy absence, Terrell Ransom Jr. shows up as Theo on October 15. Samantha Stewart plays Nurse Smith on October 16. The soap has yet to release an official last air date for James Scott, who finished taping on May 2. However, based on Days' advanced schedule projections, it looks like the actor will wrap his 8-year run as EJ over the next week. Peggy McCay is back as Caroline on October 8. She'll share scenes with Alison Sweeney's Sami. Greg Jackson makes two more appearances as Jeremiah on October 8 and 10. Greg Jackson resurfaces as Clyde's cohort Jeremiah on October 1. Lisa Williams Fanjoy is back playing Eileen Davidson's double in Kristen and Susan scenes. Susan Seaforth Hayes returns as Julie on October 6. Tanya Fairfoot portrays Joanna on October 6. Remember, Eileen Davidson resurrects EJ's kooky mother Susan on Friday, September 26. Look for the character to appear the week of September 29, too. Celestin Cornielle begins a recurring stint as DiMera henchman Miguel. Shawn Kathryn Kane portrays a waitress on September 25. Apparently, it won't be one-shot appearance on the soap. "Thanks to the amazing people at Days of Our Lives, I'm now recurring! The show shoots way in advance, so it will be a while until you see me. In the meantime, I remain a happy citizen of Salem." Samantha Bogach plays Lucy on September 29 and 30. She shared the news on Facebook: "OK EVERYONE!! My two DAYS OF OUR LIVES episodes will be airing a week from today Monday, Sept. 29th and Tuesday, Sept. 30th!! Thank you for all of the support you guys, it's so appreciated!" Mark your calendars and set your DVRs. Eileen Davidson finally makes an appearance as EJ's mama Susan on Friday, September 26. She'll share scenes with James Scott (EJ). Jonathan Trent plays Kurt, the guy who happens upon a confused JJ, after he's been set up by Eve and Jill. Greg Jackson is back as Clyde's pal/business associate Jeremiah on September 17 and 18. Days is casting two new characters. Maya, a contract role, is described as a 25-30-year-old gorgeous, African-American female, who's a confident and dedicated professional with a sensitive side. 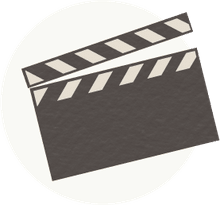 The soap is also looking for someone to portray the recurring role of Mateo, a 25-35-year-old Hispanic or part Hispanic male. The character is described as charismatic and irresistible to women. Sara Fletcher begins a recurring stint as Jill on September 9. She'll play an integral role in JJ and Paige's storyline, as they start college. Also, this week, Chasty Balesteros portrays Jill's friend Dana. Connor Kalopsis is returning as Aiden's son, Chase. He was temporarily replaced by Hyrum Hansen on the July 24 episode. Kalopsis' next appearance is September 16. Don't forget to set your DVRs for September 12. That's the day Billy Flynn debuts as the new Chad DiMera in heated scenes with James Scott (EJ). There's a Caroline Brady sighting, this week. Peggy McCay turns up on the soap's September 3 episode. David DeSantos plays Carlo on September 4. Mieko Hillman returns as Nicole's friend Sally on September 2. She last appeared on May 29. Susan Seaforth Hayes is back as Julie on August 29. She'll share scenes with Lauren Koslow (Kate) before having a major run-in with James Scott's EJ. A casting call has gone out for a 35-38-year-old actress to play Meredith, reports Soap Opera Digest. The character is described as stunning, yet fragile, with a troubled soul. The soap is looking for an experienced actress to play this principal recurring role. Laura Kai Chen returns as Salem DA Melinda Trask on August 20 and 22, when Kristen has her day in court. Also appearing this week as Kristen's lawyer is James Pacitti. Alex Wexo portrays Eve's lawyer on August 19. It's not his first stint as an attorney in Salem. Back in 2013, he legally represented John. Thomas Sellwood plays Tom on August 18 and 19. Newcomer Billy Flynn will soon begin airing on Days. Soap Opera Digest has confirmed that the 29-year-old actor will be the new Chad DiMera and will make his debut on September 12. Chad was last portrayed by Jon Casey Deidrick. The character last aired on October 30, 2013. You can check out photos of Flynn, here. Miranda Rae Mayo plays Zoe Browning, the editor of the magazine publishing Will's article on August 14 (in scenes with Alison Sweeney's Sami) and 15. Greg Jackson is back as Clyde's friend Jeremiah on August 14 and 15. Tony Elias portrays a doctor on August 12. Brent Chase turns up as a jogger on August 14. Fans who have been missing Joseph Mascolo take note. At long last Stefano is slated to make a return appearance. Look for the DiMera patriarch to surface on August 14. Days is looking for a gorgeous male of any ethnicity and in his mid-to-late 30s to portray the mysterious "Ted." The actor must have a strong voice and presence. The soap has also put out a casting call for another gorgeous guy - age 32 to 40 - to play Clint. The character is being described as edgy and rugged. Castulo Guerra portrays the Cardinal on August 6 and 7. He'll share powerful scenes with Greg Vaughan (Eric) and Arianne Zucker (Nicole). Deborah Cresswell plays Passenger #1, this week. The actress tweeted the following about her appearance: "My "Days Of Our Lives" episode will be airing August 7, 2014. Small role at the end of the episode." The show has put out two casting calls. The first is for the contract role of Bob, a somewhat attractive 50 to 60 year old computer geek. The second is for a gorgeous Japanese woman, who's between to ages of 40 and 50, to play Tori Norita. The woman lives in Japan, but wants to be with her 25-year old son in the USA. Karah Donovan plays Bridget on July 29. John Patrick Kelly portrays an investor on July 30. Due to the show's preemption on Thursday, July 17, Eileen Davidson's return as Kristen has been delayed. Instead of the character resurfacing on Friday, July 25, she will now reappear on Monday, July 28. Hyrum Hansen takes over the role of Chase Jennings, Aiden's son, on July 24. The character was previously played by Connor Kalopsis. Judilin Bosita is back as Nurse Carla on July 22. Miles Gaston Villanueva returns as Russ on July 28. The character is JJ's community service supervisor. Glen Keogh makes another appearance as Brother Timothy on July 28. Also this week, Nick Gracer debuts as Lenny. To those who have inquired about the status of Wally Kurth (Justin); sadly, the actor doesn't have any air dates coming up in the near future. Kurth is currently recurring on General Hospital as Ned. The last time he surfaced in Salem was the week of March 31. However, his TV wife, Judi Evans, makes another appearance as Adrienne on July 17. She'll have mother/son scenes with Freddie Smith (Sonny). Joe Fedio is back as Officer Moreno on July 16. The Salem cop was last seen in 2013. Here's the news a lot of fans have been waiting for. Eileen Davidson's return date as Kristen is fast approaching. Mark your calendars for Friday, July 25. Patti Stanger is back playing herself on July 11. The Millionaire Matchmaker will make a special appearance as the host of St. Luke's gala. Also on hand for the festivities: Larry Poindexter as Father Louis and Vanessa Branch as Giselle. Donald Li portrays Mr. Shin, this week. James Read has joined the cast as Clyde, Jordan and Ben's father. The daytime newcomer has an extensive primetime past. His most memorable stints include playing Murphy Michaels on Remington Steele, George Hazard on the mini-series North and South, and Victor Bennett on Charmed. Aaron and Griffin Kunitz (Johnny), Campbell and Carolyn Rose (Allie), Berlyn and Brooklyn Baca (Sydney), and Terrell Ransom Jr. (Theo) will all be on hand for EJ and Sami's wedding. DuJuan Johnson portrays Hodges on July 2. Johnson's last soap stint was back in 2011, when he recurred on General Hospital as ELQ executive Asher Caldwell. Byron Marc Newsome returns to the Salem PD as Officer Bennett on July 3. The character was last seen in 2013. Tiffany Panhilason plays Sara on July 4. Greg Jackson begins a recurring stint as Jeremiah, a man from Jordan's mysterious past, on June 27. He'll share his first scenes with Lauren Koslow (Kate). Returning this week are Ned Schmidtke as Bishop White and Vanessa Branch as Giselle Van Hopper, the socialite who's got a crush on Roman. Look for Louis Mandylor to turn up as Ortiz, this week. Mandylor was one of the many Nicks in the 2002 hit film, My Big Fat Greek Wedding. David Atkinson plays a narcotics anonymous speaker. He'll interact with Eric Martsolf (Brady). Days' Daniel had a phone chat with Melanie, last week, ending with his daughter telling him she was thinking about coming back to Salem for a visit. Is the soap laying the groundwork for Molly Burnett's return? In a word, yes. The actress has begun taping and will be reprising her role as Melanie later this year. Shawn Kathryn Kane turns up as a waitress on June 17. Be sure to set your DVRs for Wednesday, June 18. It's the day Kassie DePaiva premieres as Eve Donovan. You can catch up on the character's history, here. Don't forget to set your DVRs for June 12. It marks Camila Banus' last episode as Gabi. Brendan Coughlin, who plays Will and Sonny's pal T, is back, this week. After a lengthy absence, Riley Bodenstab returns as Bev's ex-boyfriend, Cole. He last aired the week of January 6. In the day player department, Carlos Acuna appears as a guard and Bo Youngblood turns up as a waitress on June 12. Camila Banus makes her final appearance as Gabi on June 12. Look for her to share poignant goodbye scenes with Galen Gering (Rafe), Guy Wilson (Will) and Freddie Smith (Sonny). You can read an exit interview with Banus, here. Kassie DePaiva (ex-Blair, One Life to Live and General Hospital) makes her long awaited debut as Eve Donovan on June 18. Charlotte Ross, who originated Eve and played the part from 1987 to 1991, was in talks with the soap about reprising the role in November 2013. However, a deal couldn't be worked out. So the soap decided to move forward with a recast. Sandra Purpuro is back as district attorney Beverly Jenkins the week of June 2. She'll recur for a short stint. Judith Bosita plays Nurse Carla on May 27. Blake Bagsby turns up as a drug dealer on May 28. Look for Jen Lilley's Theresa to interact with him, when she makes a purchase from him. Braeden Baade portrays Pete on May 28. The character is a male model and shares scenes with Camila Banus (Gabi). Meiko Hillman plays Sally on Thursday, May 29. She'll work opposite Arianne Zucker (Nicole). Robert Scott Wilson takes over the role of Ben on Thursday, May 22. He replaces Justin Gaston, who originated the character on February 27, 2014. Wilson previously portrayed Pete Cordlandt on the online version of All My Children and was The Price Is Right's first-ever male model. Miles Gaston Villanueva is back as JJ's community service supervisor on Tuesday, May 20. Samantha Stewart turns up at Salem University Hospital on Friday, May 23. She portrays Nurse Smith. Ejami fans get ready for yet another goodbye. Aaron and Griffin Kunitz,who play EJ and Sami's son Johnny, will be exiting the soap along with their TV parents James Scott and Alison Sweeney. "The boys last day at DOOL will be May 23rd a big thanks to all the cast and crew it's been [an]amazing experience, onward to the next adventure!" tweeted their mom Jane Kunitz. The twins will air into October. Michael Rose, the hit man hired to kill Nick, reappears on May 16 and 19. He'll share powerful scenes with James Scott (EJ). Susan Seaforth Hayes (Julie) returns this week, as the investigation into Nick's murder gets underway. She'll have several appearances over the next month. Fans waiting to see more of Drake Hogestyn take note. The actor turns up again as John on Monday, May 19.